The autonomy of a party shall be considerated according to the Convention on the Rights of Persons with Disabilities, when the court decides the party shall receive compulsory admission. However, there are still problems in the explaination and application of the convention in legal praxis. Based on perspectives in legal policy and legal dogmatics, this article analyzes the decision of Taiwan Taoyuan District Court that rejected the enforcement of compulsory admission by a psychiatric hospital. It addresses the tension between compulsory admission and respect for autonomy as revealed in the encounter between the convention and the Mental Health Act in Taiwan. 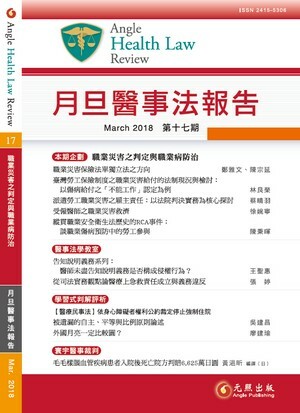 In summary, to enhance the quality of legal norm interpretation, the court decision not only should have deliberated more clearly on the relevant fact, but also should have paid more attention to issues of systematic coherence between the convention and the current legal institution in Taiwan.